Everyone searches for Disney objects on the colorful board game, and get a chance to say, 'I found it! 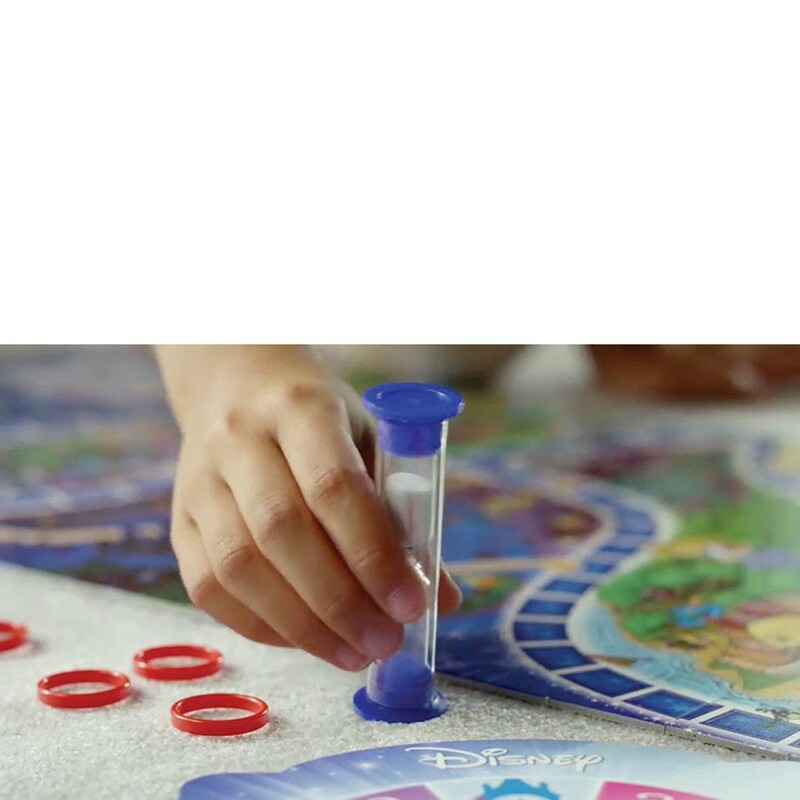 Your favorite Disney movie characters will play an I-Spy type of game. 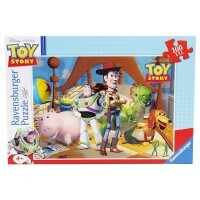 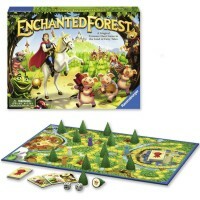 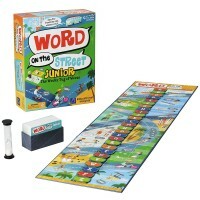 Discover hidden treasures and beloved Disney characters as you play this kids board game. 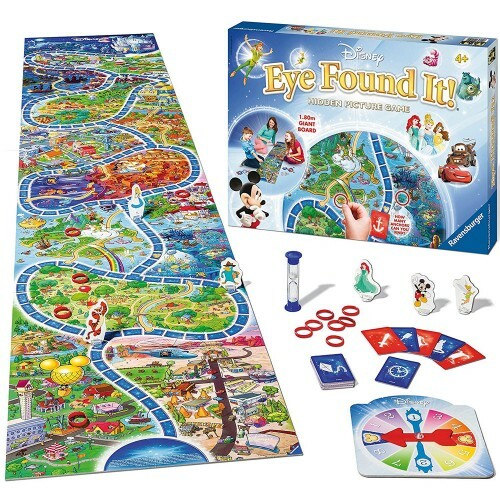 Disney Eye Found It! 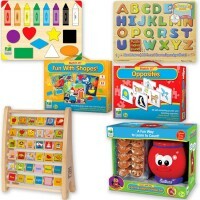 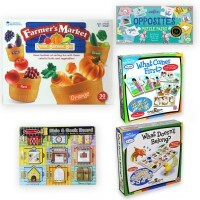 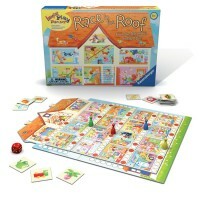 Board Game is a new addition to Educational Toys Planet's board game collection. 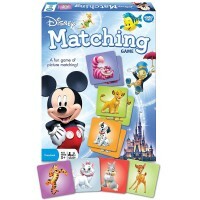 Join Mickey Mouse and friends on a race through 12 illustrated Disney realms, from Radiator Springs and Alice' Wonderland, to Peter Pan's Never Land and more! 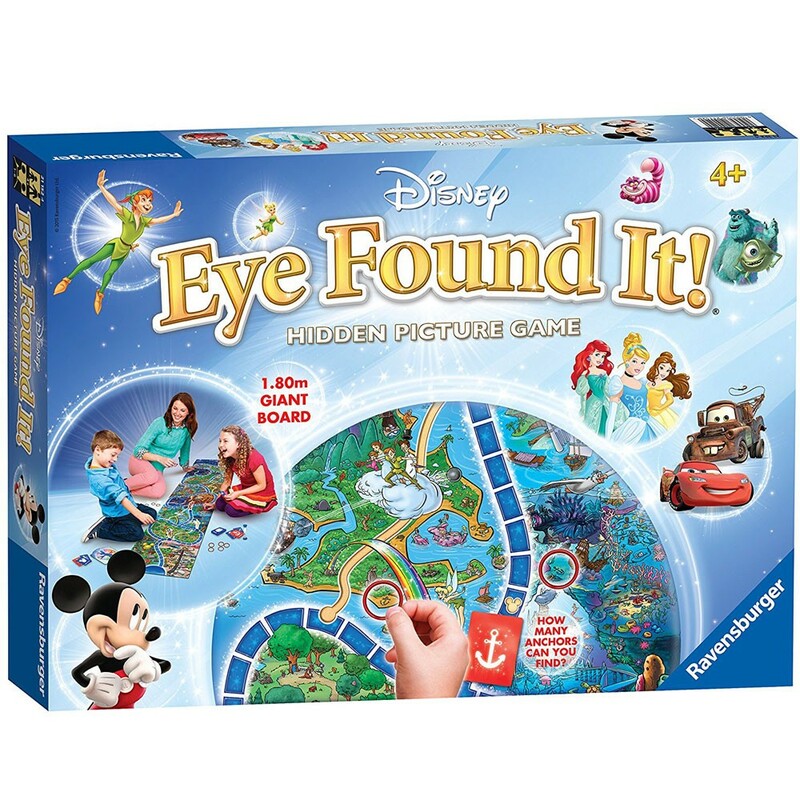 Everyone searches for Disney objects, and get a chance to say, 'I found it!'. 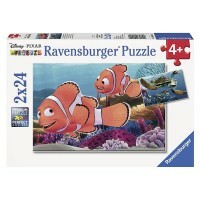 Find 1,000 hidden pictures and be a guest to the world of Disney movies! 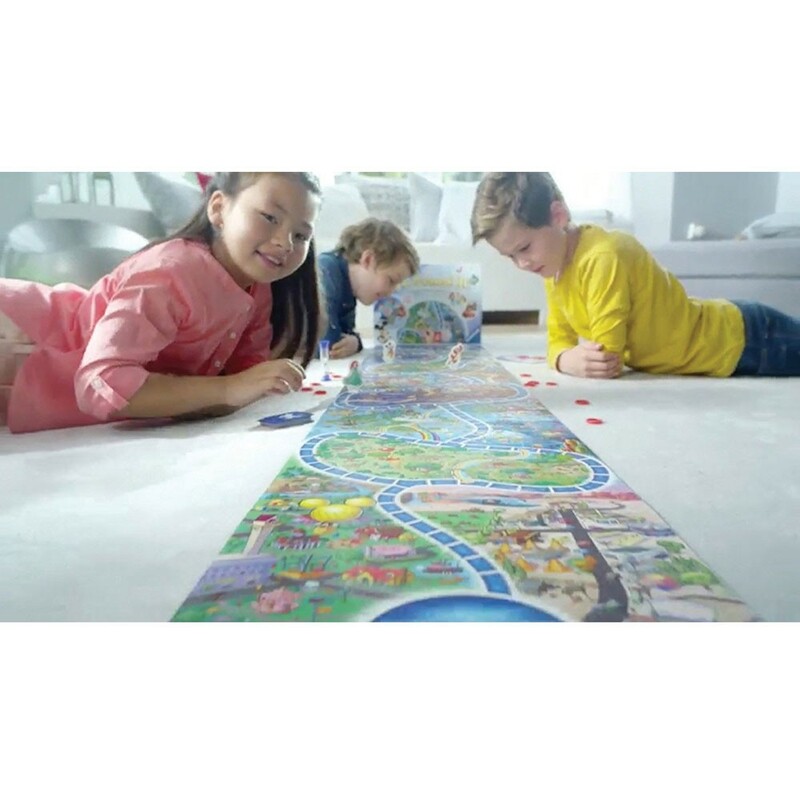 Watch the time as you look for the hidden objects! 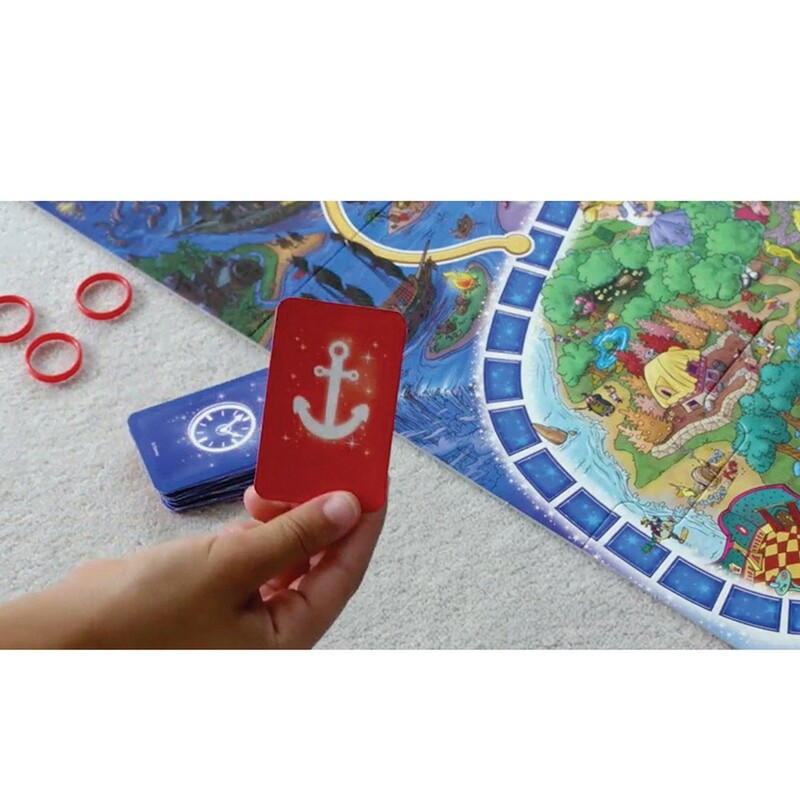 The player who gets to the castle before time is up wins the game! 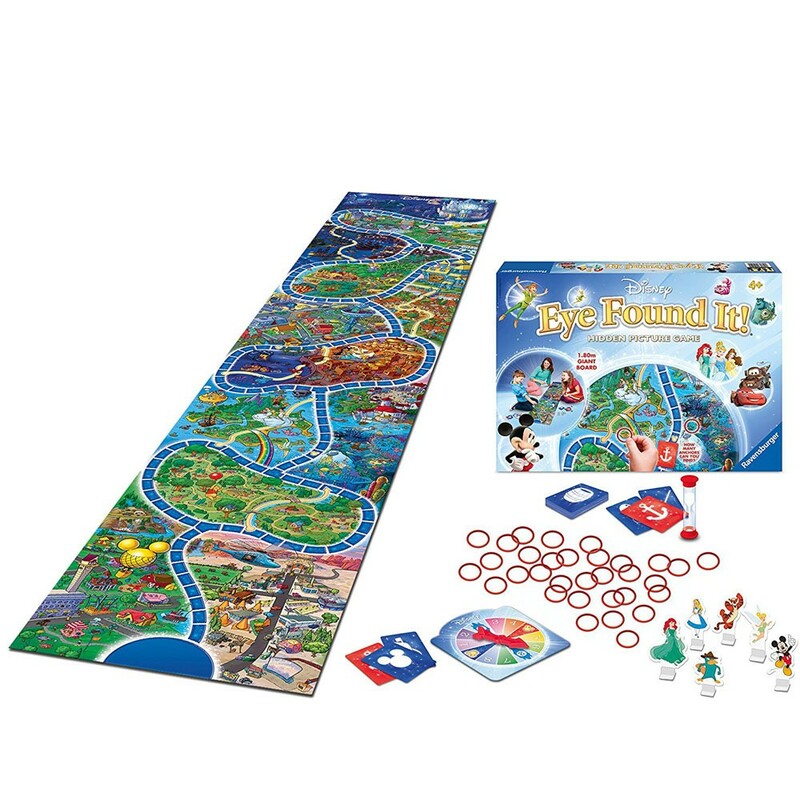 Eye Found It! 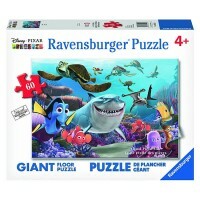 game features Disney Pixar Cars, The Little Mermaid, Phineas and Ferb, Aladdin, Beauty and the Beast, Mickey and Friends, Alice in Wonderland, Disney's Pirates of the Caribbean, Peter Pan, Disney Pixar Monsters Inc., Winnie the Poo, and Cinderella. 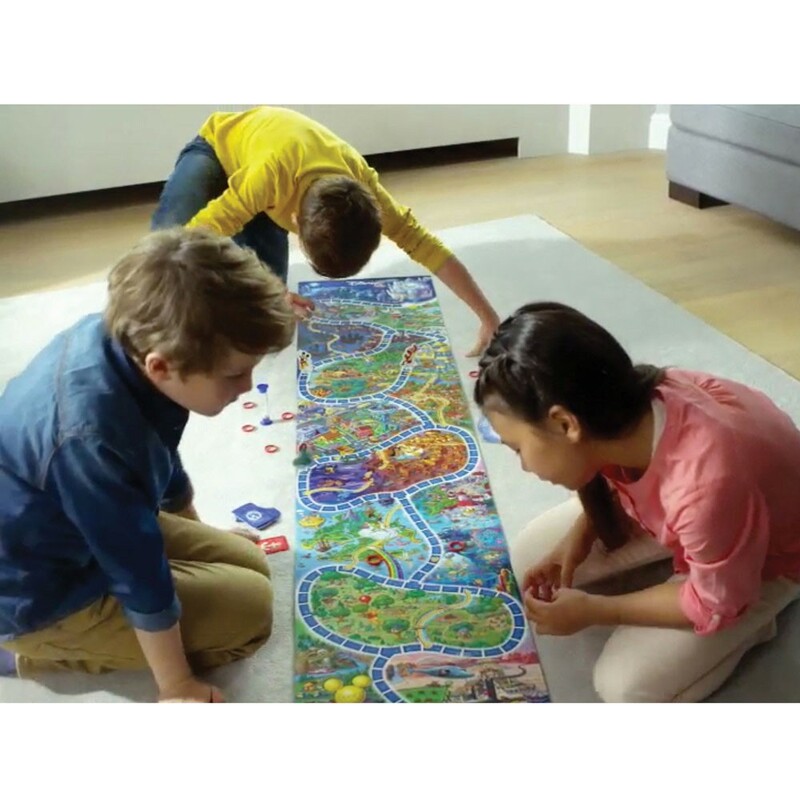 The Disney game set includes a colorful 6-foot long game board, 6 playing pieces with bases, a spinner, 12 Mickey Mouse markers, 30 search cards, a sand timer and instructions! 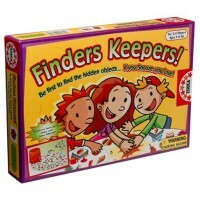 For 2-4 players. 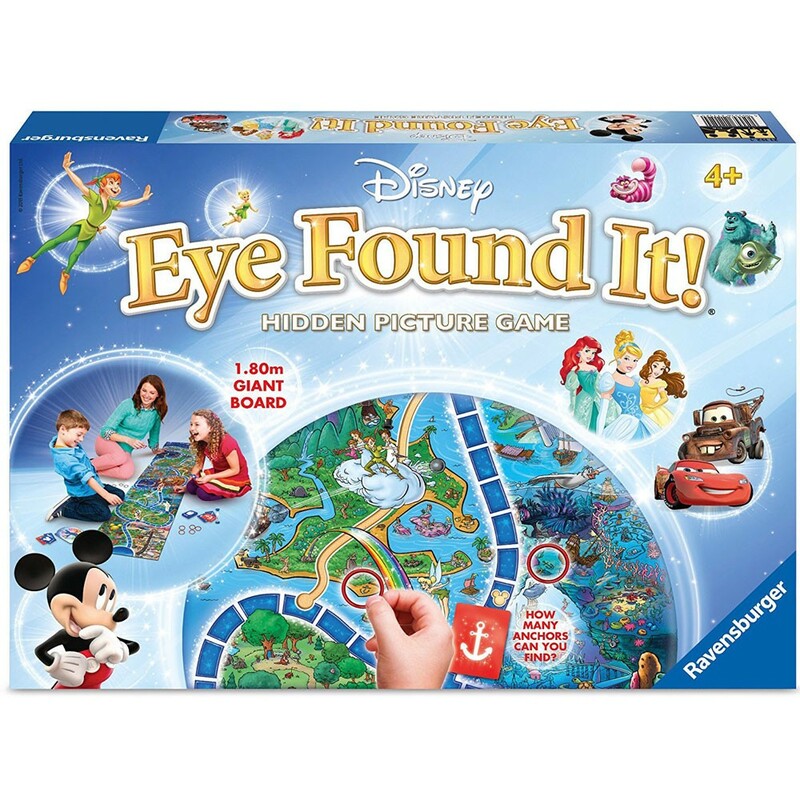 Dimensions of package 13.94" x 71.42" x 0.08"
Write your own review of Disney Eye Found It! 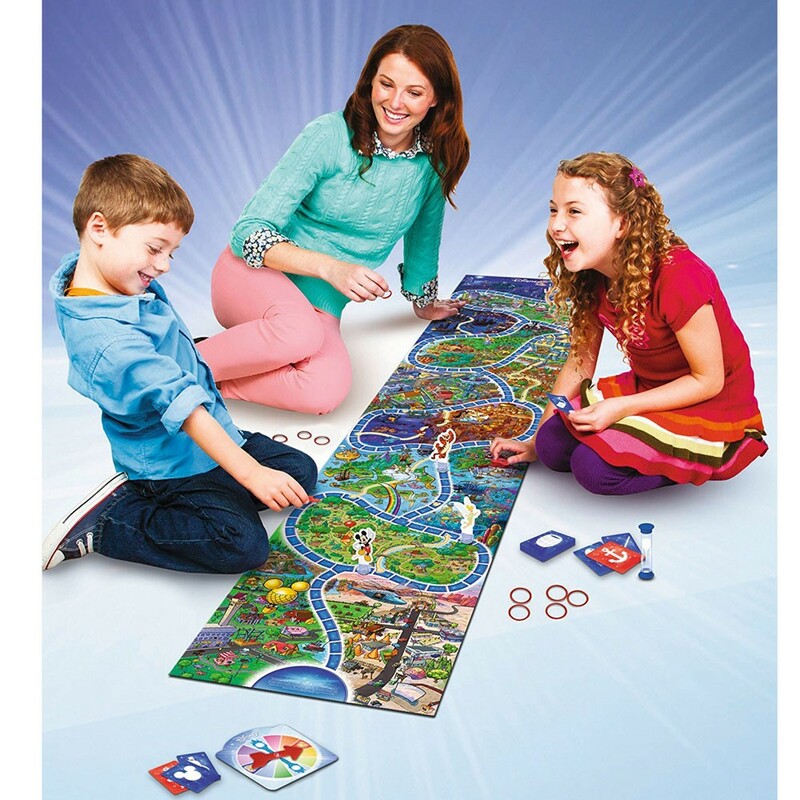 Board Game.